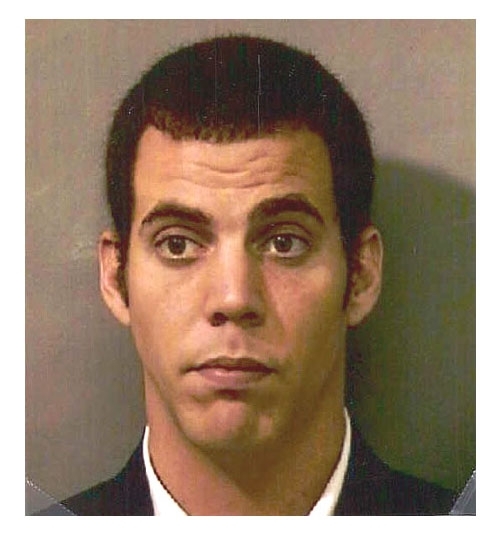 "Jackass" star Steve-O (aka Stephen Glover) was arrested in August 2002 for exposing himself during a nightclub performance in Louisiana. Glover allegedly stapled his scrotum to his thigh and also participated in another stunt during which a bouncer slammed a patron's head on the ground. The 28-year-old Johnny Knoxville sidekick, who was charged with obscenity and being an accessory to second-degree battery, is scheduled to be arraigned December 16. Submitted by AtomicBomb on Tue, 2011-04-19 17:42. Submitted by nastynorm on Sat, 2010-12-11 00:43. Submitted by lmowery on Mon, 2010-10-04 15:14. Submitted by elimparcial on Wed, 2010-09-22 00:11.